Didn’t get the memo? No worries. The new Avengers movie lays it out for you. 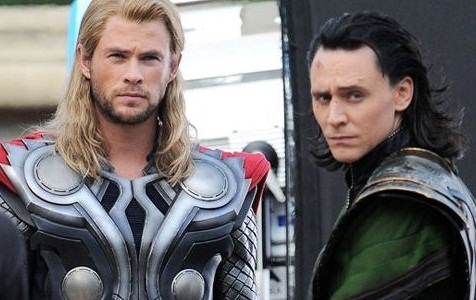 Loki, the Big Bad, is adopted, which explains why he killed 80 people in 2 days. Phew. Thank goodness that’s settled. You gave us high school as hell in Buffy, warned of technology’s dark side in Dollhouse, and explored the costs of chemical warfare in Firefly. Big ideas with snappy dialogue is your thing. In other words, I expected better. While the audience chuckled, I fumed for the rest of the movie. Why? Because it’s an easy joke that plays to a common stereotype. Why not make a crack about Nick Fury being in a gang (‘cause he’s BLACK!). Or Black Widow being a ho (cause she’s a CHICK!). Loki is not a murderer because he’s adopted, Joss. No matter where words are spoken, they have power when they are heard. Even in a Marvelous universe. Even in an ordinary world.